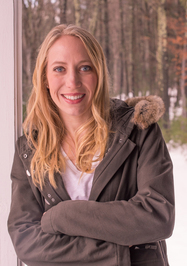 Today I share the blog with debut author Amanda Stauffer! 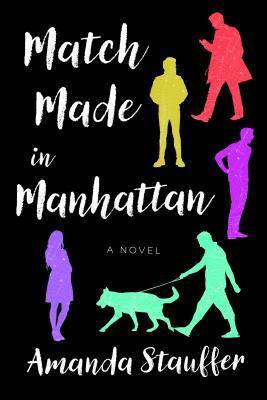 Amanda is the author of the book Match Made in Manhattan which debuted today, the 23rd! Link to my review of the book in the caption of the cover! confused, lonely, and drastically out of touch with the world of modern dating. Refusing to wallow, she signs up for a popular dating app and resolves to remain open-minded and optimistic as she explores the New York City singles’ scene. With the click of a button, her adventures begin: On one date, she’s dumped before the first kiss; on another, she dons full HAZMAT gear; she meets a tattooed folk singer turned investment banker, an undercover agent who tracks illegal exotic animals, and dozens of other colorful, captivating personalities. Giving them each her signature “pants speech”–her pants aren’t coming off unless she has a real connection with someone–she desperately wants to push past the awkward small-talk phase to find true love, but finding “the one” is starting to feel impossible. That is, until she meets Luke, who is sophisticated, funny, and not to mention, hot. 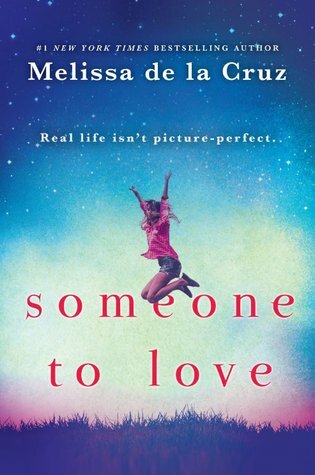 Alison finds herself falling for Luke harder than any guy she’s dated and finally letting her walls down, but will he stick around or move on to his next match? architectural conservator, restoring historic landmarks across the country. When she grew frustrated with New York City’s dating scene, Amanda headed to match.com. Her experiences provided her with a lifetime of warm and fuzzy memories, a few friends, and an abundance of material for a book or a career in comedy. Without further ado, here she is with a dream cast! I don’t have any particular idea in mind for content, so do what’s most convenient for you or interests you the most. A dream cast is always a good idea too! Fantasizing about my dream cast for that day when Match Made in Manhattan makes it to the silver screen . . . or the TV screen . . . or the computer screen is pretty much my favorite hobby. So clearly her idea trumped all of my duller, more ponderous ones. Before you can round out the supporting cast, you need to pick an Alison, as her character is the linchpin to the narrative arc. If you don’t have a multi-dimensional Alison who can relate to each of her colorful and diverse dates in subtly different ways, a major theme—namely how different people can bring out different aspects of our personalities—gets lost. Once upon a time this would have been a great role for Reese Witherspoon or Rachel McAdams – strong, confident ingénues who can make a joke, take a joke, but also convey bouts of vulnerability. One early reviewer actually wrote up her dream cast and picked Emma Stone as Alison. My sister is convinced the role should go to Dove Cameron. Alison: I’d love to see Emelia Clarke as Alison. I think she’d take the role to an interesting depth and profundity, while also expressing patience (a must for Alison on some of these dates) and charm. . . .
And if there’s room, it would be awesome if we could work in a cameo for me. . . maybe as Alison’s sister? Or as the metal-welding assistant? Congratulations to Amanda for such an awesome debut!! I hope you all take a moment to read this delightful book! HI GUYS! I know I resolved to write more here this year, but it has been hard to find the time to sit and write among all other things going on right now. It has already been quite a year despite being only 21 days in. I’m here to talk about the debut book by Amanda Stauffer — and I can’t wait for you to read it this Tuesday! After two intense, dead-end relationships, serial monogamist Alison finds herself confused, lonely, and drastically out of touch with the world of modern dating. Refusing to wallow, she signs up for a popular dating app and resolves to remain open-minded and optimistic as she explores the New York City singles’ scene. With the click of a button, her adventures begin: On one date, she’s dumped before the first kiss; on another, she dons full HAZMAT gear; she meets a tattooed folk singer turned investment banker, an undercover agent who tracks illegal exotic animals, and dozens of other colorful, captivating personalities. I remember when I was first contacted to read this book I was intrigued by the premise. I seem to be able to relate to the characters a lot more because I am seeing and experience the same frustration that Allison finds herself feeling. The dating snafus that Allison goes through are SO GREAT. I loved how she navigated each situation differently and took it all in stride, even if it wasn’t easy. Her patience as a character is truly boundless, and you can tell how she handles herself in the wild situations she gets herself in with these dates. Reading books like this one reminds me that I have high expectations for my own romantic life because of reading. It seems that while everything everything is going to hell for Allison, she still is able to find love and get out of her own head to experience falling in love. She gets to go on wild adventures even when things aren’t clicking for her. I love her spirit. One of my favorite parts of the book was Allison’s job!! I learned so much about art and the architecture that I felt that I was there with her restoring buildings. It was lovely to see the world through her eyes. All in all, I highly recommend this!